You've found the right company. Now, let us help you find the right service. Note: Our prices are listed below the services. We are revamping this page and will have a new one coming soon! Thanks for your patience. Recurring services are subscription plans for services on a daily, weekly, bi-weekly, or tri-weekly basis. You’ll pay a lower rate per services. Check the description below for details. When you place an order, you will be taken to a detailed form to sign up for services. Loved how we left your home? Want to keep it that way? Sign up for recurring Maintenance cleaning services. No contract necessary! No “subscription” or hidden fees! No baits to obligate you to keep using our services. Just quality service, security, value and peace of mind that you’ll want to hold onto yourself! Daily (more than once a week) -- call us for a custom plan w/ lower rates! You’ll get our lowest rates available. Same Maid retention, Maid change if for any reason you no longer want the same Maid or they becomes unavailable. Services more tailored to your personal preferences. 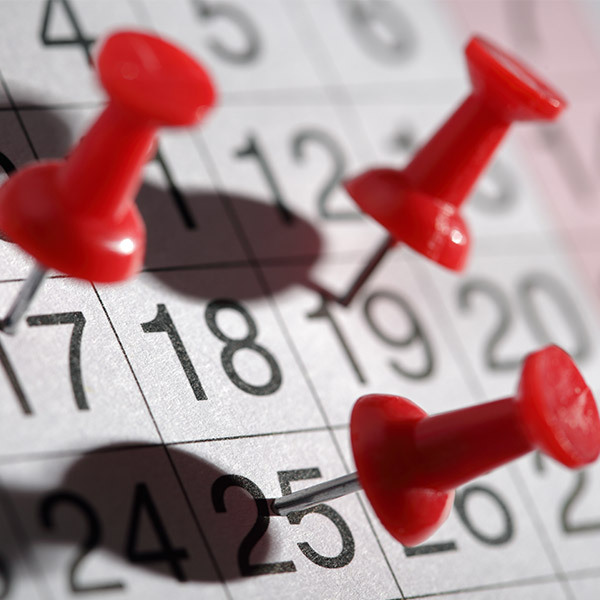 Backup Staff, so you never have to deal with no-shows should anything unexpected happen. Our Employees sign strict Privacy and Non-disclosure agreements to protect our Customer’s privacy and peace as they are not allowed to discuss Customer’s lives or burden our Customers with their personal issues. It is your right to have drama free service. Insurance that not only covers damage to your home or items but also protects you from liability should anything happen to the Service Pro on your premises. Companies that send Independent Contractors to your home are NOT insured even if they say so. Insurances only cover actual Employees of a company, not the Independent Contractors. Payroll and Employer responsibilities on us not you! As our Employees, we pay and handle all IRS, Dept of Labor, Worker’s Comp, OSHA and legal issues. You don’t need to risk yourselves by hiring an Independent Contractor who could sue you or try to claim you as an Employer to collect unemployment. We monitor our Service Pros to make sure you get the full time allotted. As a recurring service Member, you get discounts on all other services we offer! 8 am to 9 pm, 7day live phone/text and email assistance. Advanced Database and use of technology to maintain the accuracy of Customer accounts/records. Tax deductible! If you meet qualifications. Complete details of every service recorded permanently as well as personalized attention. The absolute strictest security and background checks on all Employees. All legally Employed, legally allowed to work in the United States and Background checked. Companies that send Independent Contractors are not legally allowed to background check thoroughly unless they make the IC’s actual Employees. All they can do is call their references which may or may not be fake. No underpaid illegal, untraceable Workers. No underground practices to compromise your safety here! High company standards maintained. It’s human nature for Maids or service pros to eventually decline service quality because they may get too comfortable over time. Just call us and we will change your Maid or Service Pro discretely and considerately or guide him/her to make improvements for you or another Customer better suited to his or her style. The confidence of knowing you have hired the most reputable and trusted cleaning service. Serving New Yorkers since 1999! There are different ways to get discounted maintenance services. In this plan, you decide how often you’d like services. Weekly, tri-weekly, etc. (You can always change this). Your rate would be lower based on the assumption that you’ll buy at least x-number of services in the next month(s) or year(s). See our rate chart to view recurring service rates. Think of it like buying in bulk but only paying as you go! If you go to Costco and buy 40 chairs, you can get a lower than usual rate, however, if you change your mind and decide you only want 2 chairs, then the salesperson might have to readjust the price and charge the standard rate for those 2 chairs. So in Maid Service it would work something like this, If you tell us you’d like to sign up for tri-weekly services, we would charge you the bi-weekly rate as each service occurs. We count these as yearly calculations, (No you don’t have to use for an entire year unless you want to. It is not a contract) so if there are 52 weeks in a year 52 divided by 2= 26 services. This means your quote will be based on a possibility of selling you 26 services. However, if you decide after your second service that you’d like cancel the rest of your scheduled services, we would have to charge the difference of those 2 first services to reflect the price of each service purchased on an individual basis. That means that if you paid. $119.77 (Standard Rate) – $114 (bi-weekly rate) = Difference charged: $5.77 x 2 services = $11.54. So as you can see, there is no contract, no early termination fee, no “Membership” fee. Just a rate readjustment in case you change your mind, so you have nothing to lose by signing up with this plan. Before we go on, please note, there is no obligation to become a recurring service member. You can always call on us for service individually. Discounted recurring services as a subscription are treated like a bulk purchase that you can pay for a little at a time. If you decide you want to reap the highest savings and you are able to pay for at least 10 services in advance, this plan yields the highest savings. Call us at (866)NY-MAIDS / (866)696-2437 for a customized quote! If a new customer mentions that you recommended us, we will apply a $10 reward to your next cleaning. You can save your Rewards and use them toward a free cleaning or an E-Gift Certificate! There is NO LIMIT on Referral Rewards. Referral must mention/write your name when they call or place the online order. Referral must become a new customer to New York Maids. Current customers orare not eligible. Payment for cleaning must occur prior to applying your Reward credit. Referrer Reward credit(s) will be awarded 60 days after Referred Customer’s successful payment. Referral Rewards can only be used for future cleanings. Referral Rewards can be used to purchase gift certificates in any amount. Referral Rewards can only be used towards cleanings and only towards cleanings in Manhattan. Feel free to contact us if you have any questions! 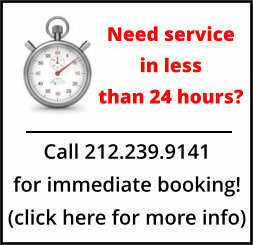 Toll-free (866)NY-MAIDS or (212)239-9141.